Northrop developed the F-5 as a small, twin-engine, light-weight, multi-role fighter for the export market with hopes of interesting the US military as well. First flown in July 1959, the supersonic fighter entered service in Canada, Spain, Norway and the Netherlands. Other countries would adopt the agile and easy to maintain aircraft as development continued. The USAF would finally operate the aircraft in limited quantities in Vietnam. While the F-5A/B lacked a decent radar, the aircraft was very agile and could hold its own in a dogfight. The F-5's small size made it difficult to acquire visually and would serve as one of NATO's principal point defense fighters for several decades. The Canadian Armed Forces also operated the CF-5 for almost 40 years, a testament to the aircraft's economy, flexibility, and utility. I had to do a double-take when this kit was first released. Did Classic Airframes really release a relatively modern jet fighter? Indeed they did! 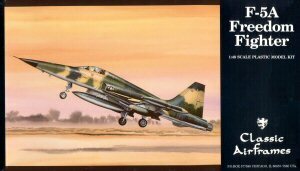 Prior to the appearance of this kit, our only choices were the old Hawk 1/48 F-5A and Fujimi's slightly underscale F-5A and F-5B. 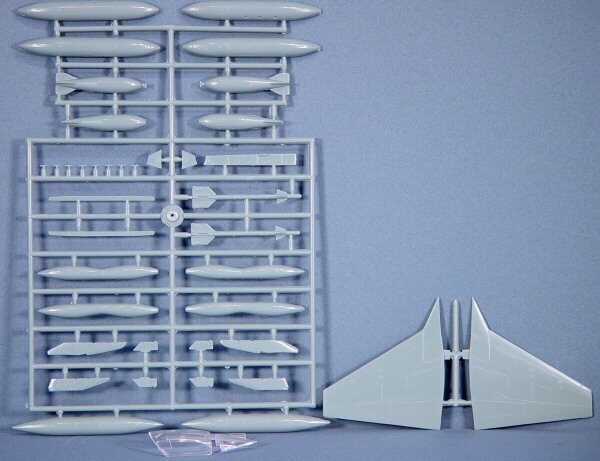 Molded in medium gray styrene, the kit is presented on three parts trees, plus the clear parts. 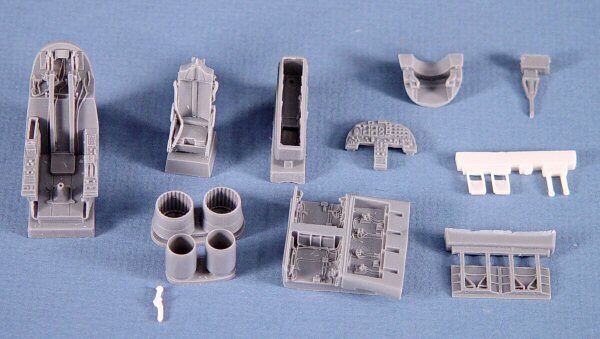 The ejection seat, cockpit tub, nosewheel and main wheelwells, speed brakes, and engine nozzles are all beautifully molded resin parts. The parts breakdown is a little unusual and will be a little work for the modeler to get everything together. The vertical stab on the left side is a partial height molding designed to dovetail into the full-height half on the right side. A little dry-fitting, trimming, and filler will be required to make that seam go away. The wings are separately molded but should not pose a problem as they attach with zero dihedral to the base of the fuselage, so you should have good alignment sitting wings and fuselage on a flat surface - ditto with the horizontal stabs. The main wheel wells will be the other challenge. the outboard wells are molded as lower inserts into the undersurface of the wings. The actual fuselage wheel wells and speedbrake wells are molded as a single resin part that will insert into the underside of the fuselage. A styrene 'belly pan' will go next to enclose the rear portion of the fuselage underside. A little patience and lots of dry-fitting and trimming should minimize the need for any filler. The resin cockpit is very nicely done! You'll want to show this cockpit interior off but I'm not too sure about the kit's canopy lift mechanism. 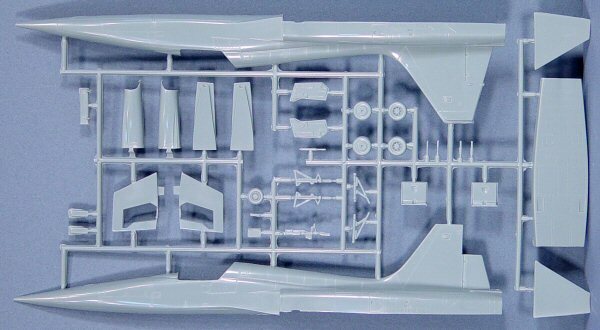 If you have a Monogram F-5E available for parts, I'd rob the lift mechanism out of that kit for this build. A nice set of stencils are also included. This is one of a series of the early F-5s that Classic Airframes released. There were one or two F-5As with different marking options, an F-5B two-seater, and the RF-5A reconnaissance variant. While not the project for the Tamiyagawa model assembler, a skilled modeler will not have any serious problems building this kit.